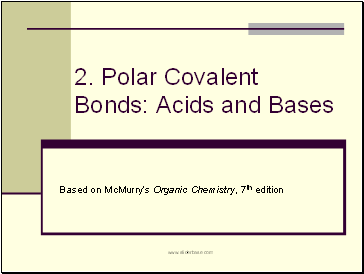 Description of basic ways chemists account for chemical reactivity. 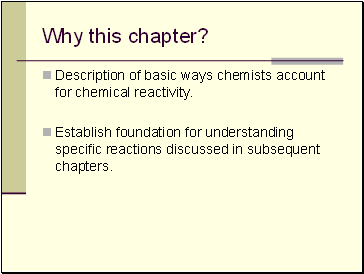 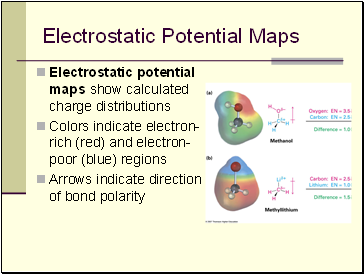 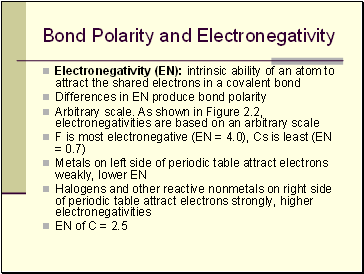 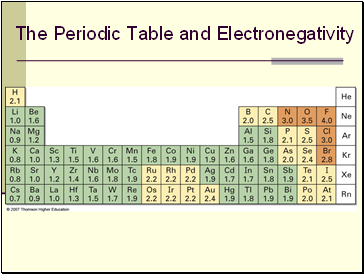 Establish foundation for understanding specific reactions discussed in subsequent chapters. 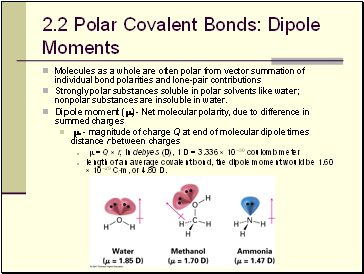 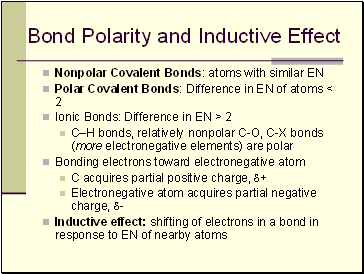 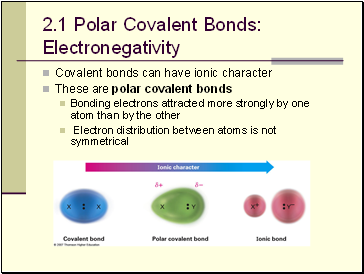 Strongly polar substances soluble in polar solvents like water; nonpolar substances are insoluble in water.